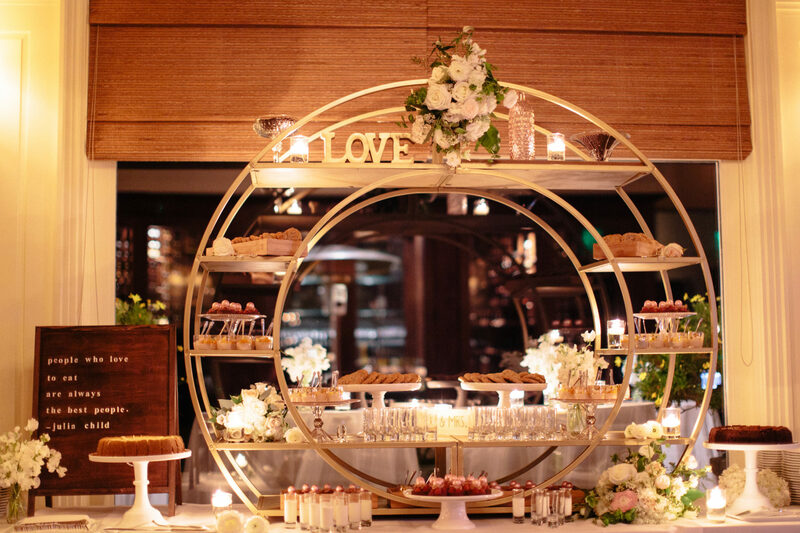 Slip into a dream of a wedding with the gorgeous celebration of love coordinated especially for Brooke and Abe. 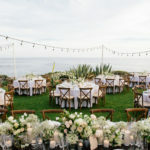 Leslye Hansen with Weddings by Leslye did an incredible job making the space for our couple’s Laguna Beach wedding at The Montage absolutely stunning. 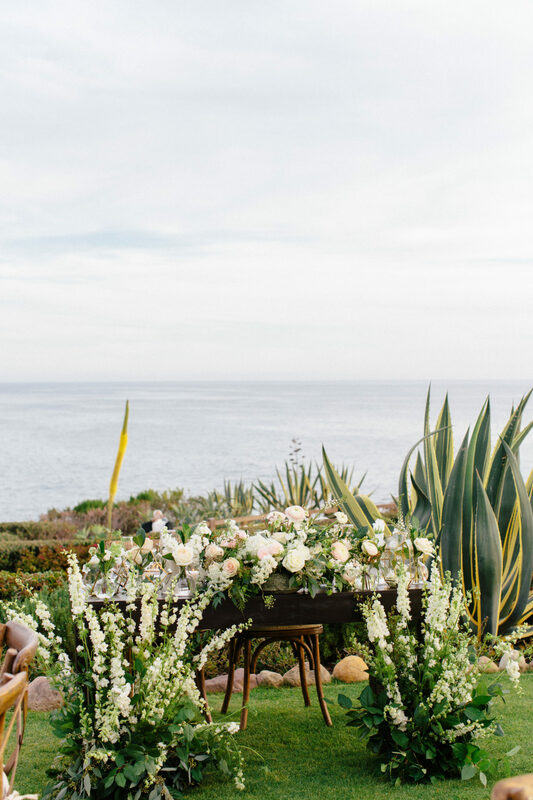 Brooke and Abe opted to say their “I Do’s” in front of the glistening Pacific Ocean, sans a decorated altar. 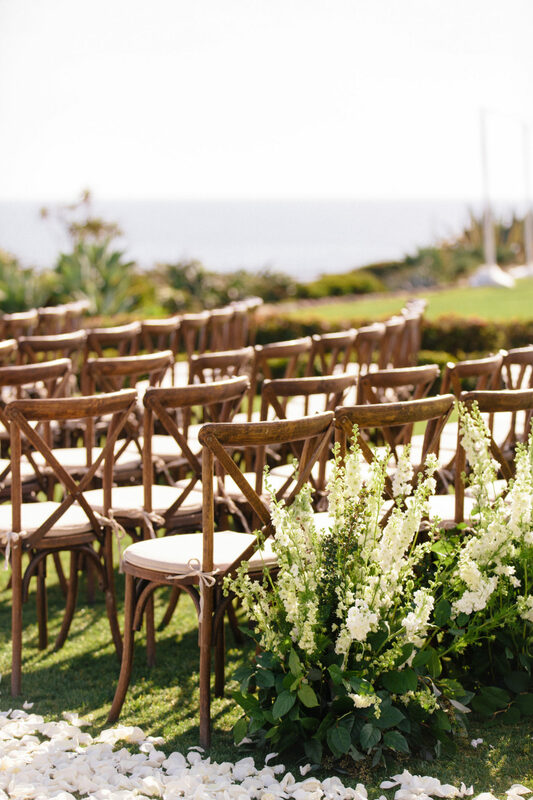 Their style reflected a maritime decor with wooden chairs that built the form around the couple. 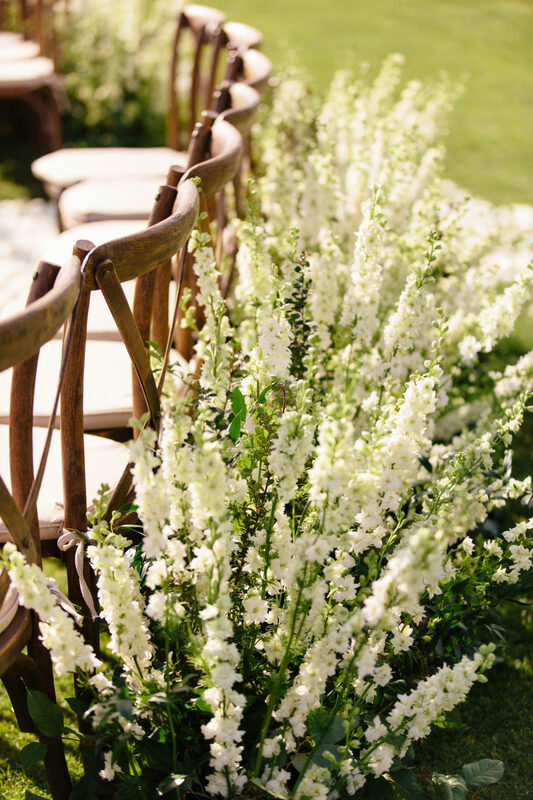 Backing the rows were lines of green stems with white botanicals. 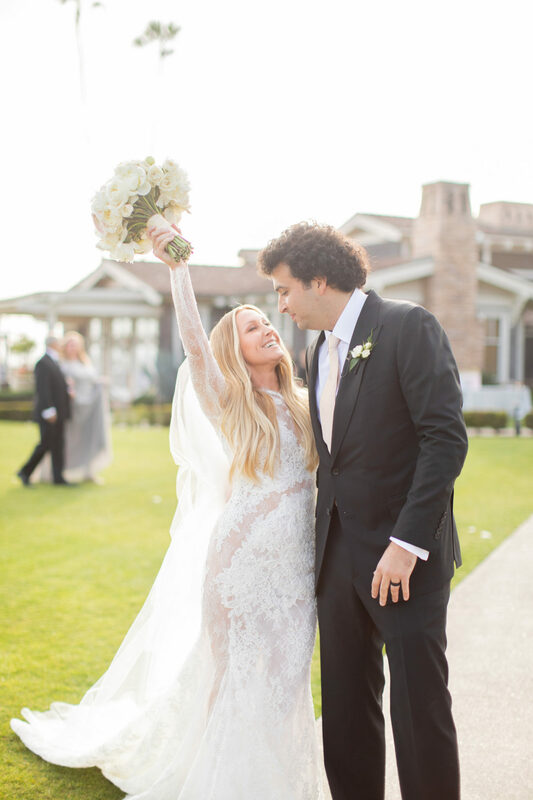 The bride also dazzled in a gorgeous lace wedding gown and mirrored the glistening ocean with a veil that gleamed down her back. 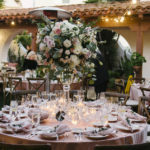 The complementing wood and floral decor shaped the entire theme that was found at the wedding reception. 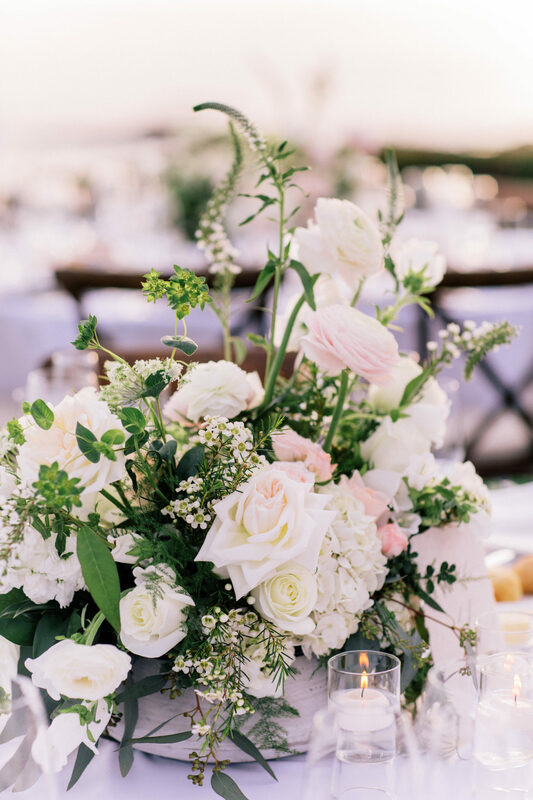 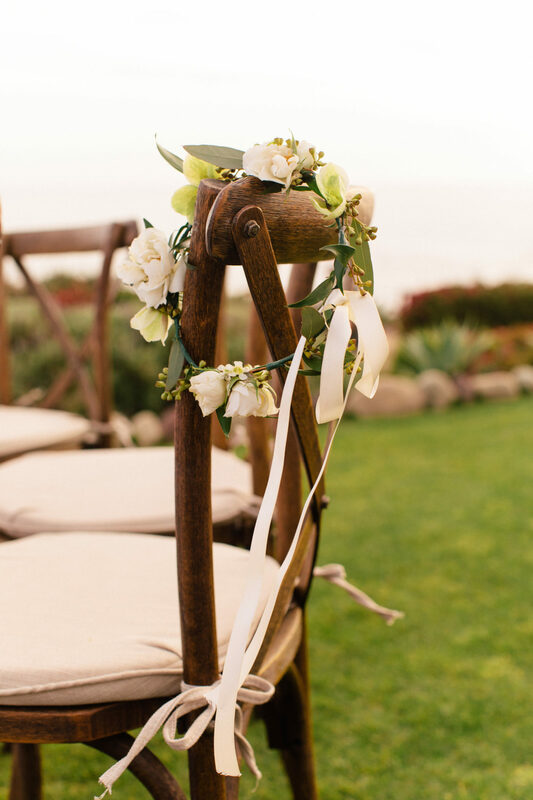 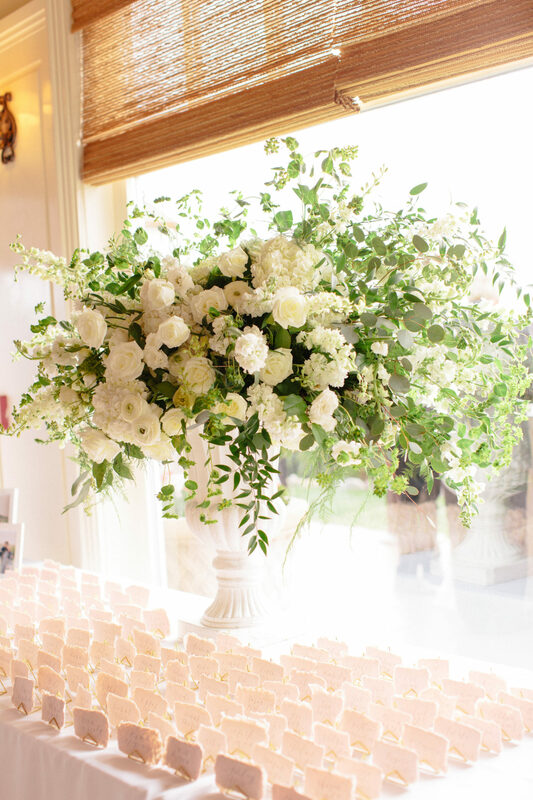 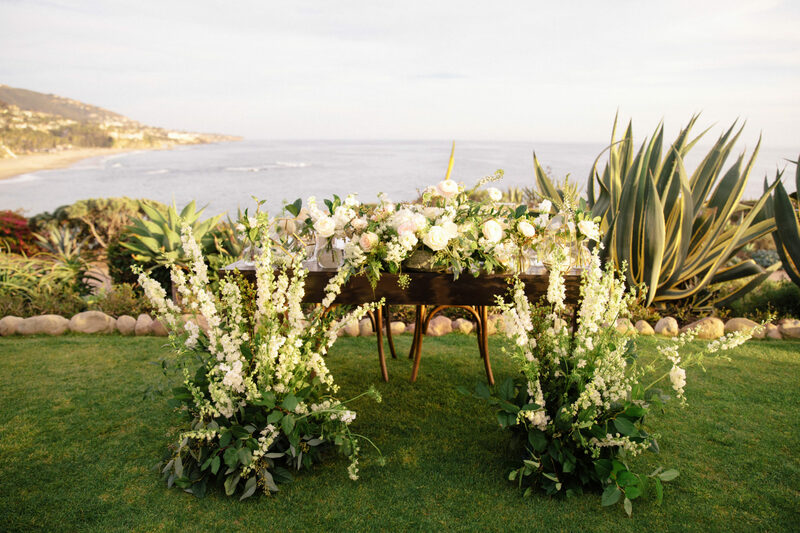 The table of honor stood along the bright, green grass with the ocean setting and floral arrangements intertwined with white roses. 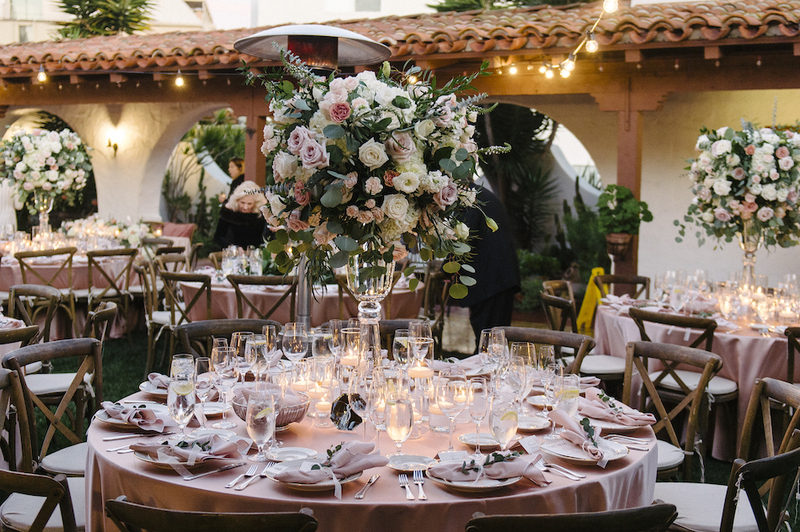 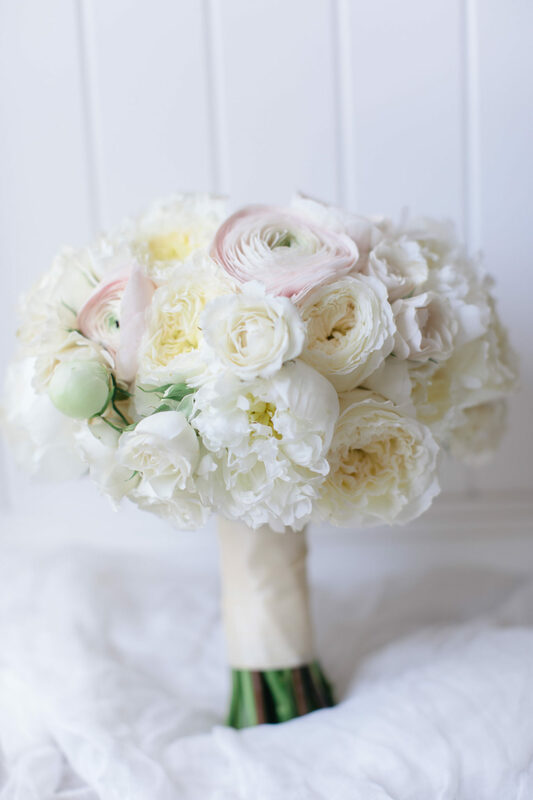 Each guest table mimicked the table of honor with white and pink roses arranged in the center. 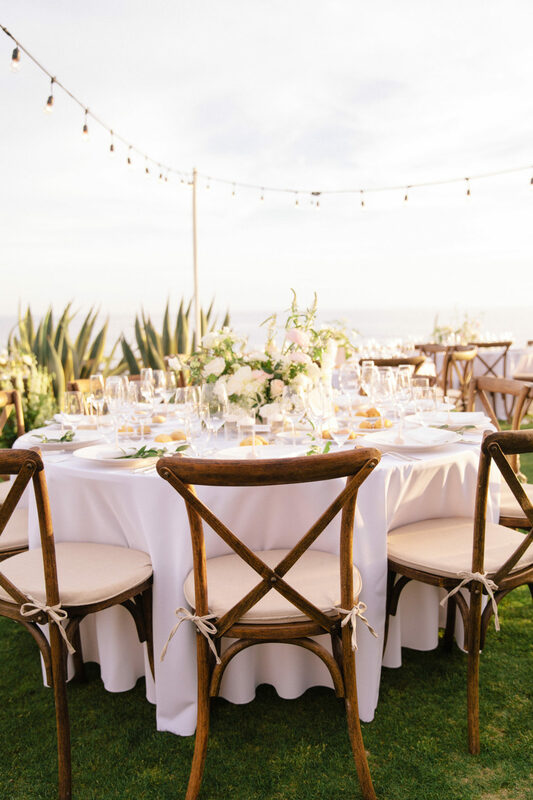 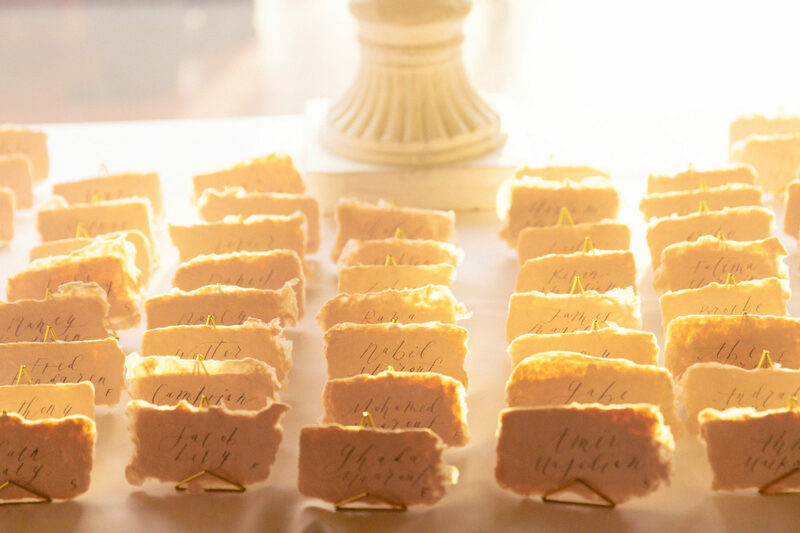 The tables were encircled with wooden chairs and showcased clear dinnerware. 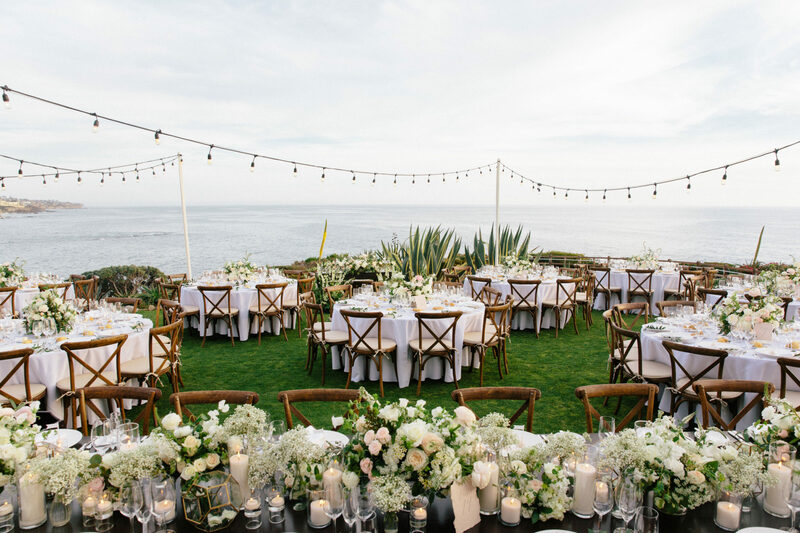 Strung lights and romantic candles were placed around the venue to keep the party going until after the sunset. 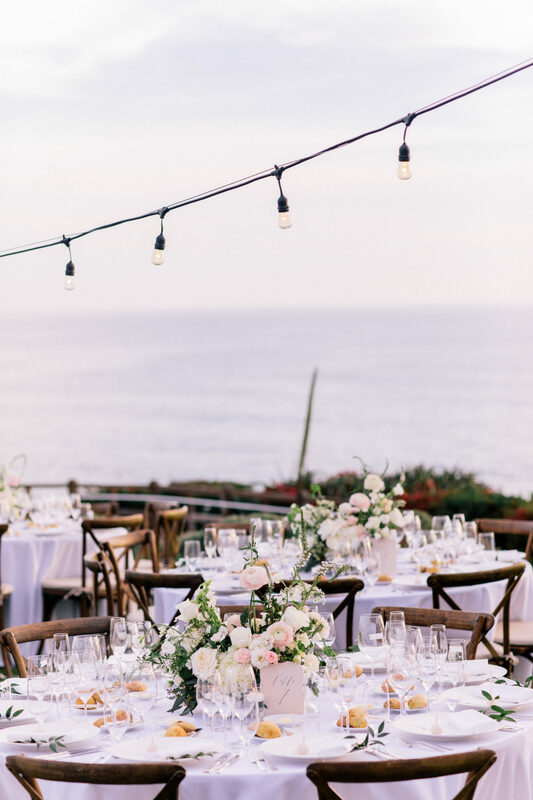 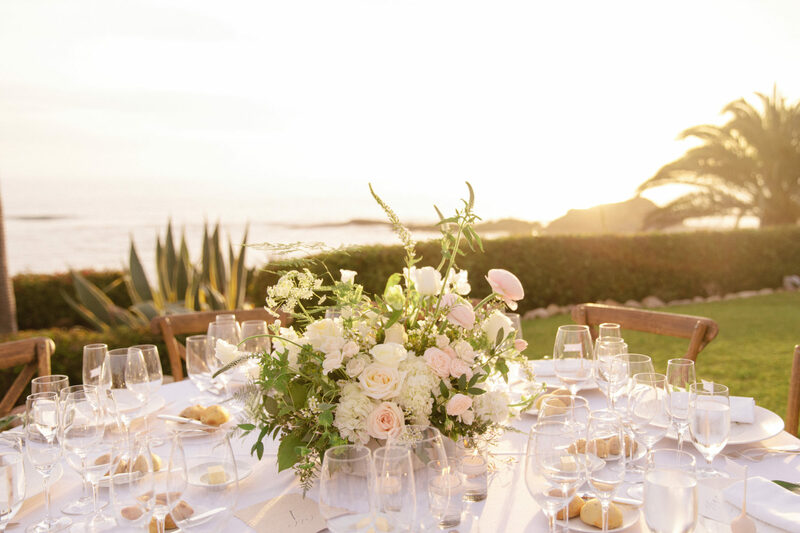 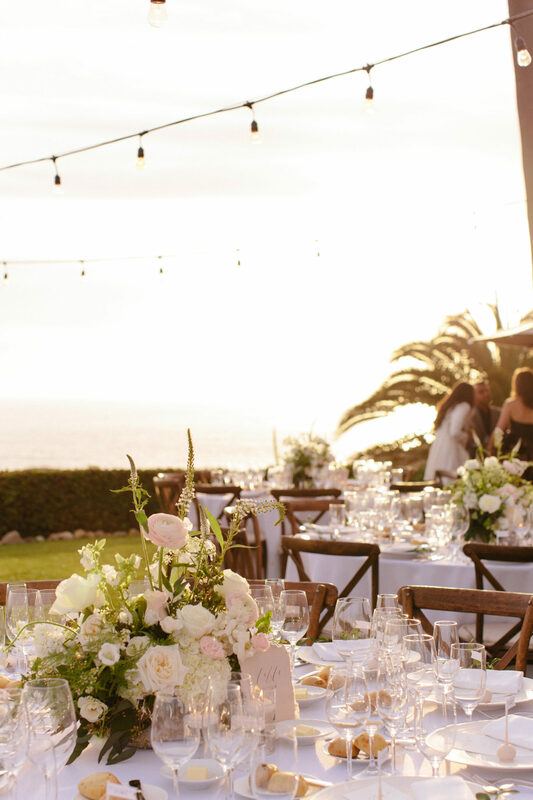 Scroll below to see more photos from Brooke and Abe’s glistening Laguna Beach wedding.